A dental prophylaxis is the removal of plaque and calculus from teeth both above and below the gum line. 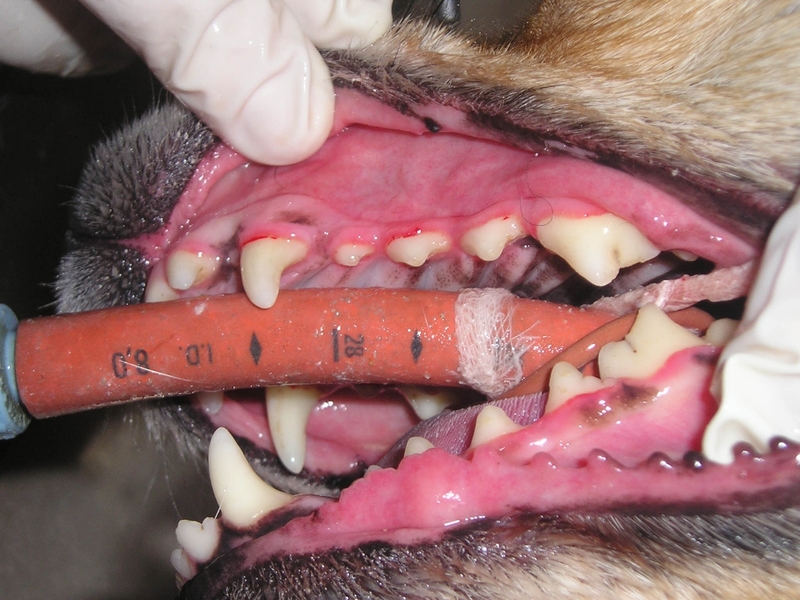 Nearly 85% of all companion animals suffer from periodontal disease. Marked signs of this ailment include bad breath (halitosis), inflammation and bleeding of the gums (gingivitis), and pain. If left untreated, periodontal disease can be implicated in more serious conditions affecting organs such as the kidneys and liver. 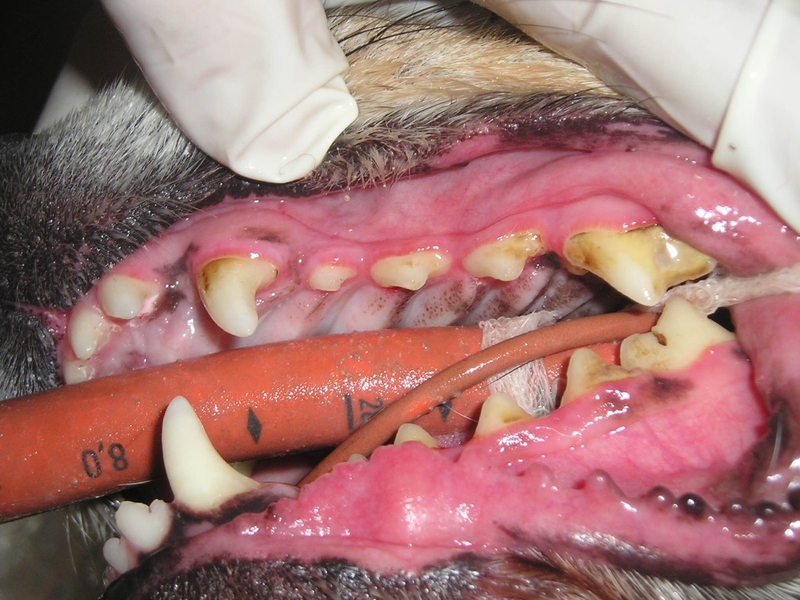 Treatment and prevention of periodontal disease includes antibiotic therapy, routine dental examinations, and dental prophylaxis as recommended by your veterinarian. What happens during a dental prophylaxis? During a routine dental prophylaxis, a trained team of veterinarians and technicians perform a thorough oral examination while your pet is under general anesthesia. This examination includes charting of the teeth, notations on calculus deposits, fractured and missing teeth, tooth mobility, growths and lesions in the mouth, gingival recession and bleeding. These findings are then transferred to your pet's permanent record so the status and progression of periodontal disease can be tracked. When your pet is admitted for a dental prophylaxis, your veterinary team will perform a physical examination (with or without blood work, depending on your pet's age and health). Once your pet is determined to be healthy enough to undergo anesthesia, the prophylaxis will be performed. The patient is given an injection to sedate him so that an endo-tracheal tube can be placed. This tube will prevent your pet from aspirating fluid into his/her lungs while simultaneously delivering anesthetic gas and oxygen. Once anesthetized, the dental team will begin the process of radiographing and charting your pet's teeth using instruments similar to those used in human dentistry. When necessary, your veterinarian will also perform dental extractions. Once the charting and extractions have been completed, a trained technician will clean and polish your pet's teeth. This procedure involves using ultra-sonic as well as hand-scaling instruments to remove calculus. The teeth are then polished using dental pumice paste. This process smoothens the enamel, which helps to prevent future build-up of plaque and tartar. After this, a chlorhexidine solution is used to eliminate existing bacteria along the gum line. Typically, this solution is scented to leave your pet's mouth smelling fresh. Discomfort may be experienced following any surgical procedure. In effort to minimize your pet's pain, the dental team will administer a series of medications. Where extractions are anticipated, a pre-operative dose of pain medication (usually a non-steriodal anti-inflammatory) is given. During the procedure, a nerve block is performed to numb the area of the jaw where the extractions will be performed. Your pet will then be sent home with a course of pain medication following the procedure. What can I expect after a dental prophylaxis? Depending on the severity of periodontal disease, your pet might be sent home with antibiotics and/or pain medication. Be sure to use these medications only as directed by your veterinary team. -Feed a dental diet, such as Hill's T/D diet. Having your pet examined by your veterinarian annually to semi-annually, depending on age and overall health, is very important. Make sure to contact your veterinarian with any questions or concerns regarding oral health or any medical condition.